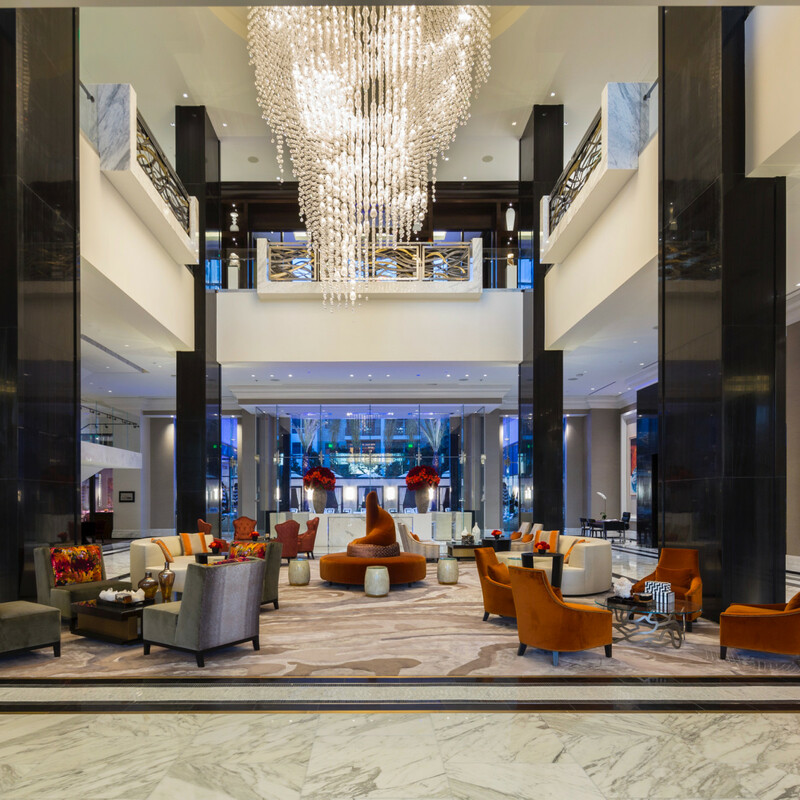 The Post Oak, Houston’s newest luxury hotel, is an impressive facility. It’s clear that its owner, Landry’s, Inc CEO Tilman Fertitta, has spared no expense in bringing the project to fruition. Look up in the lobby. That crystal chandelier cost $1,000,000. Look at the paintings on the walls by artist Frank Stella. They’re worth $1,000,000, too. In an interview, Fertitta’s son Patrick described The Post Oak as a “generational” asset, one the family wants to hold onto for a long time — just like the Houston Rockets, another recent Fertitta acquisition that’s already catapulted the Billion Dollar Buyer to another level of celebrity. 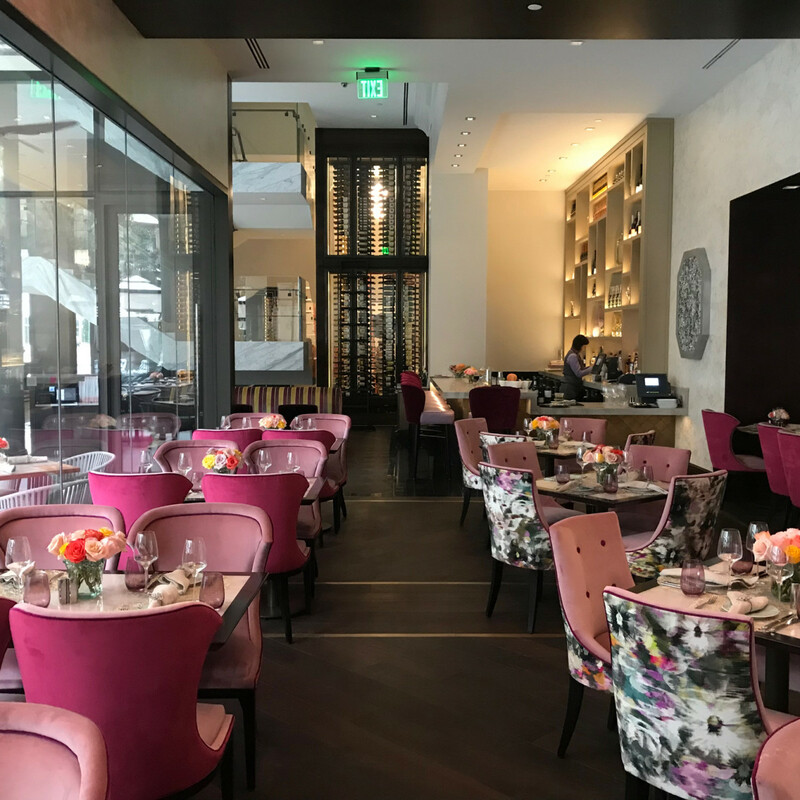 Whether or not the chef team overseeing the hotel’s four restaurants literally cost $1 million, they do bring years of experience at some of America’s finest hotels to their new endeavor. 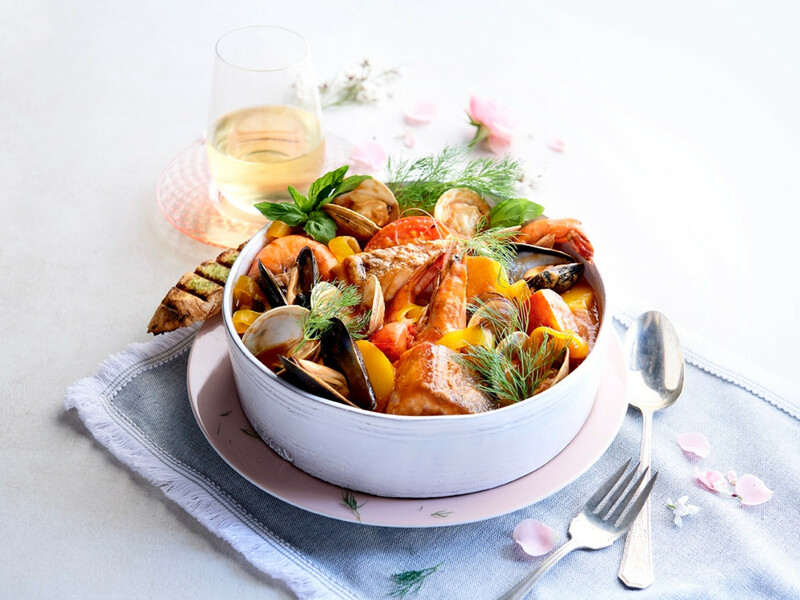 Executive chef Jean Luc Royere’s resume includes 10 years of experience at Forbes Five-Star properties, including the Mandarin Oriental in Miami, the Ritz Carlton Naples Beach Resort, and The Lodge at Sea Island on Saint Simons Island. He’s also been designated a Master Chef of France, just as locals like Philippe Schmit and Philippe Verpiand (Etoile) have. Royere hired eight senior positions from his extensive Rolodex of former colleagues; he joked about driving cross country and putting them in his trunk for the trip to Houston. Overall, the chef and his team spent 10 months developing the menus for Craft F&B, Bouchée Patisserie, Bloom & Bee, and H Bar. 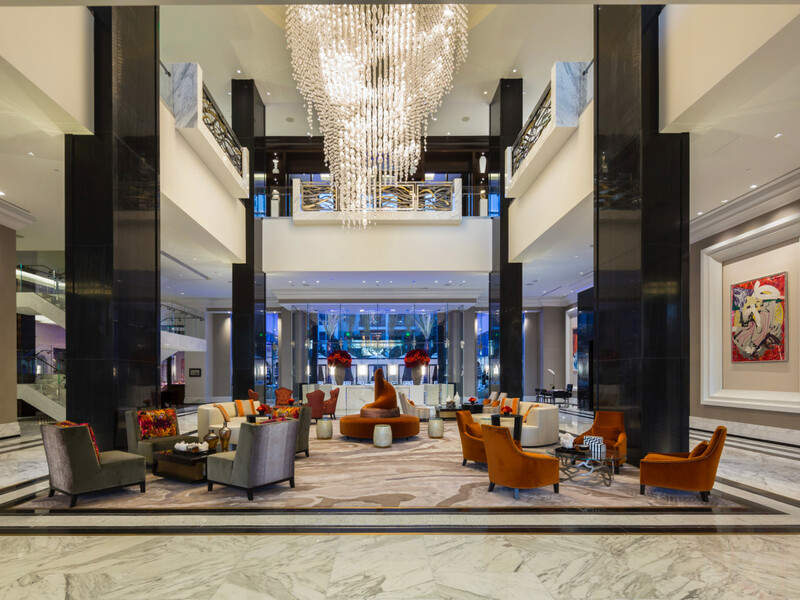 The goal is to create concepts that both satisfy hotel guests and are compelling enough to lure Houstonians to visit the property, although it's worth noting that guests can order room service from any of the four hotel restaurants as well as both Willie G's and Mastro's. 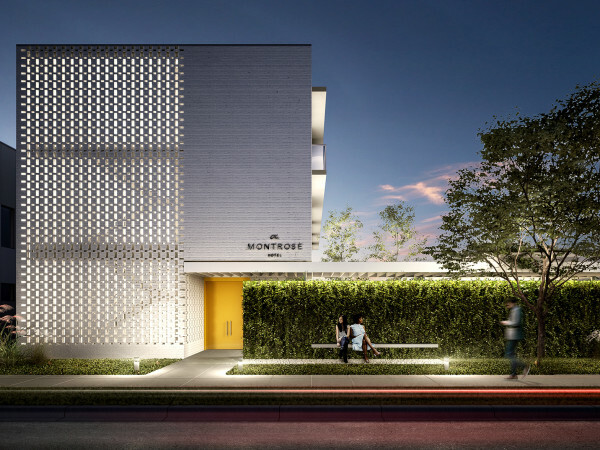 During a tour led by Royere and Landry’s corporate executive chef Kathy Ruiz, CultureMap got a look at all four concepts. 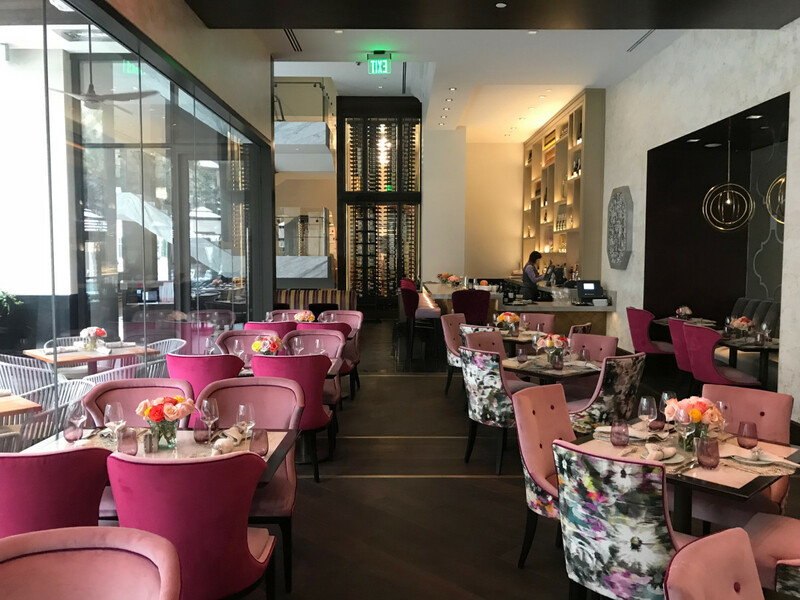 Located next to the hotel’s pool, Bloom & Bee is The Post Oak’s signature restaurant. 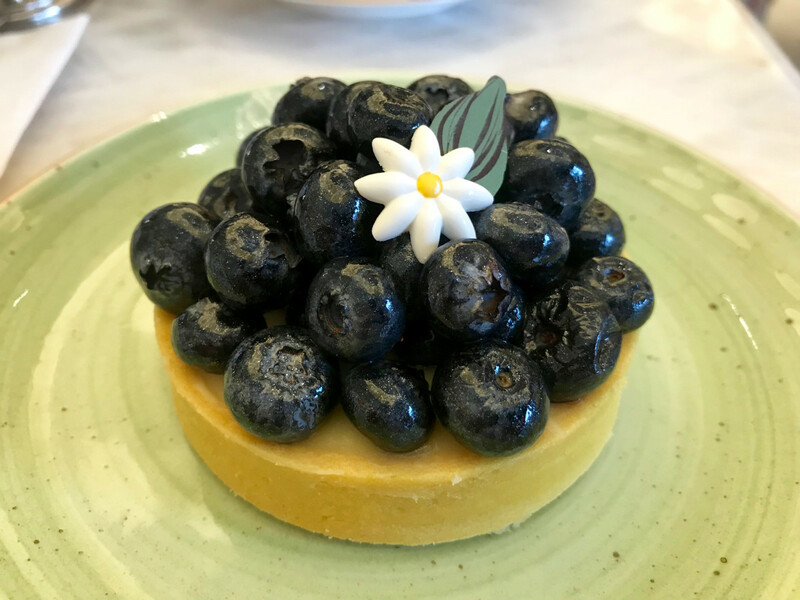 Open for breakfast, lunch, and dinner, the space features a stylish design with floral-inspired decor, including circular glass panels on the ceiling, and an eclectic menu designed to suit a variety of tastes. 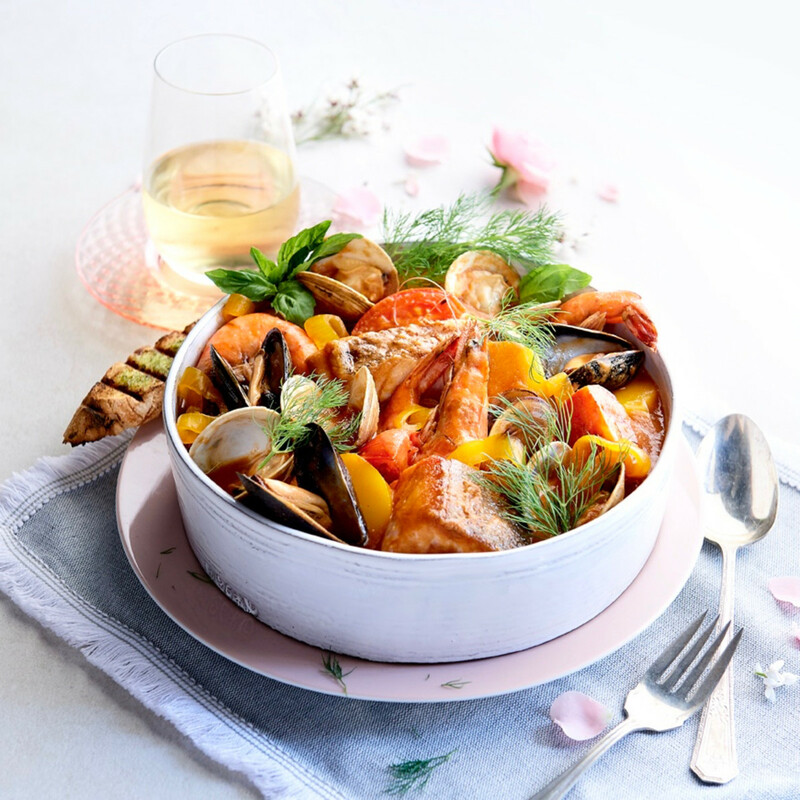 Signature items include the smoked beef tartare, which arrives under glass with smoke for a theatrical effect, Skuna Bay salmon with crispy skin, and a classic bouillabaisse with an aromatic broth and lots of shellfish. At breakfast and lunch, Royere tells CultureMap that diners have embraced the avocado and tomato tartine: an elevated take on avocado toast with a poached egg and Cotija cheese. All of those dishes can be paired with wine or cocktails, but the signature sangria seems like a solid place to start. 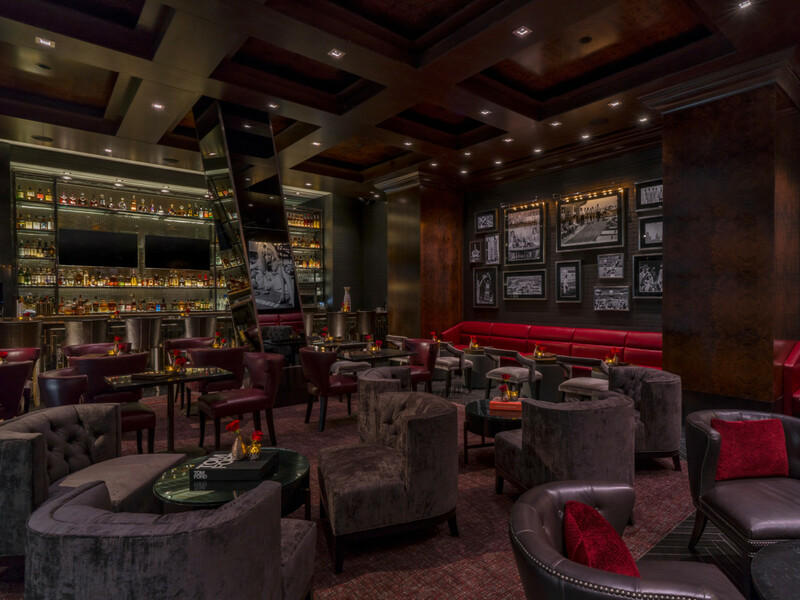 Across the lobby, H Bar offers hotel guests and visitors an intimate spot for sipping cocktails. 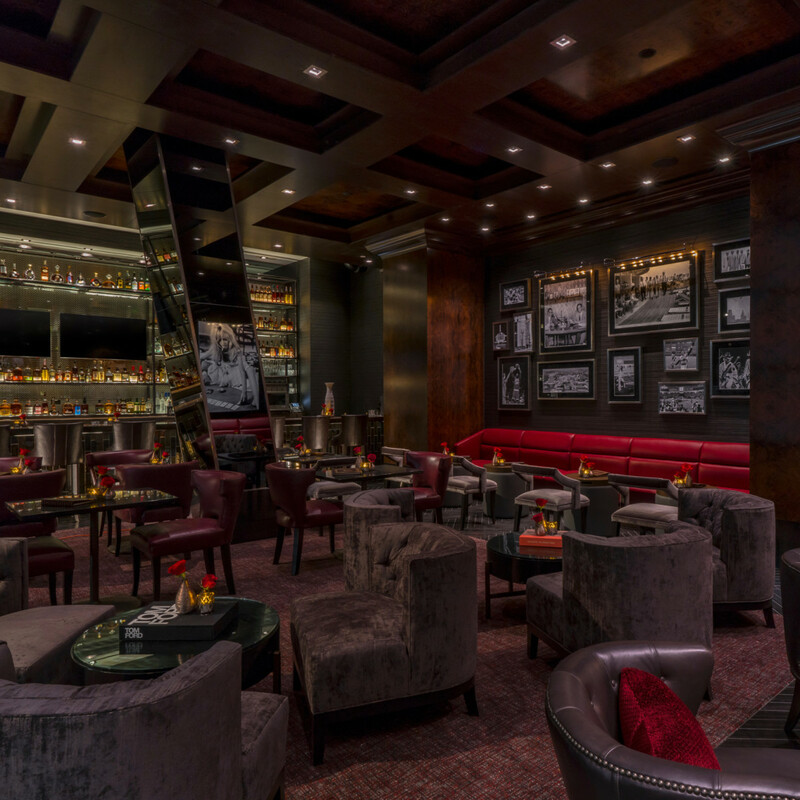 The bar is decorated with black and white photos from both Houston’s history and more intimate shots of the Fertitta family. According to Royere, it’s already become a popular spot for guests and whatever lingering revelers wander over from the Mastro’s Steakhouse that’s also on the property. An extensive selection of American and international whisk(e)y leads the spirit list. Although it’s definitely more of a drinking destination, those seeking sustenance may order sushi — try the bonito-topped Dragonfly roll — or light bites like short rib sliders, mini lobster rolls, and prawn cocktail. 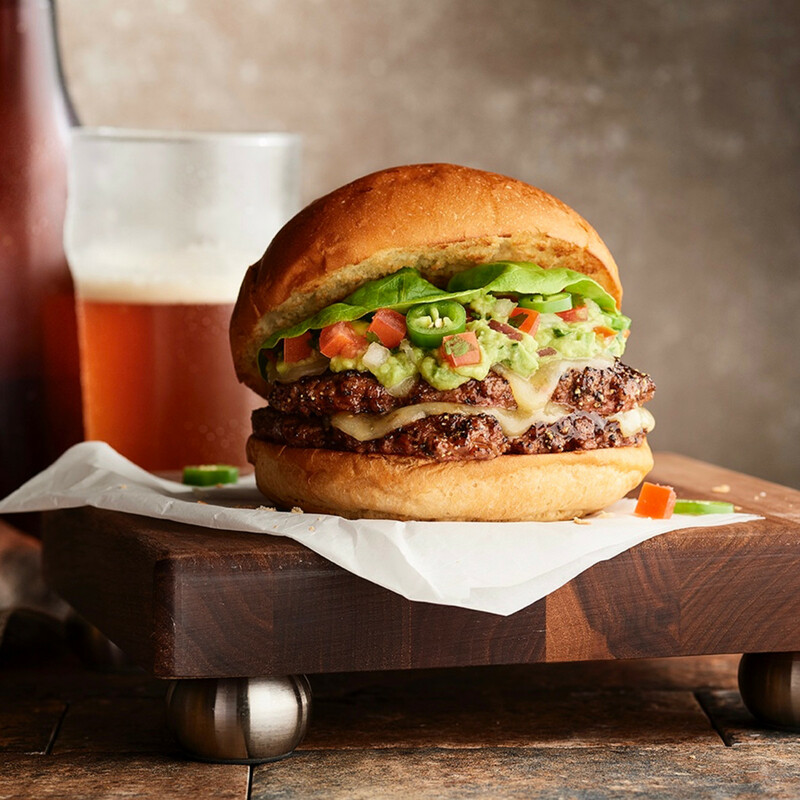 Those seeking a more casual environment may opt for Craft F&B. The space has an industrial look and lots of TVs for watching games. As the name implies, the restaurant features 24 taps of craft beer, but the theme goes beyond brews. The restaurant also makes its sauces, pizza crusts, and hamburger buns from scratch. Chef Royere let certain Texan staples inspire the menu. 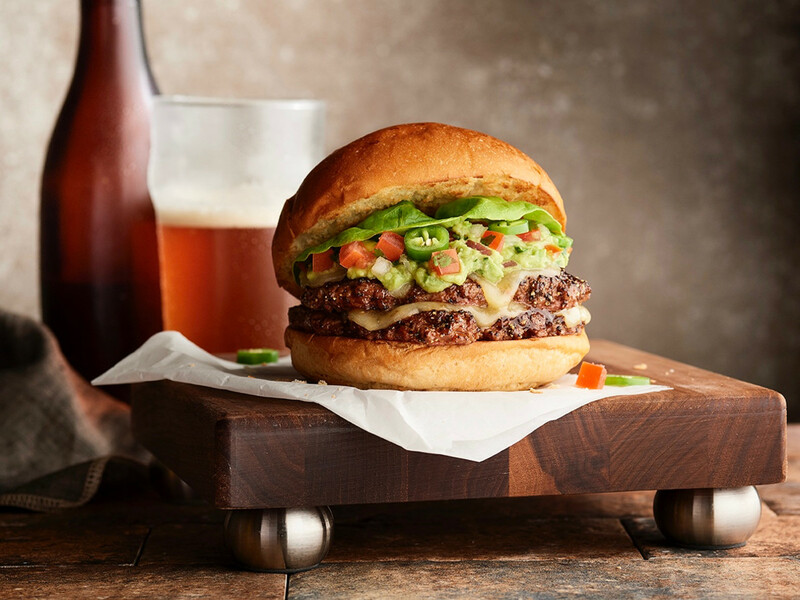 So, yes, Craft F&B serves a riff on Frito pie made with wagyu hot dogs and bison chili and the South of the Burger that’s topped with guacamole, pepper jack, and pico de gallo. 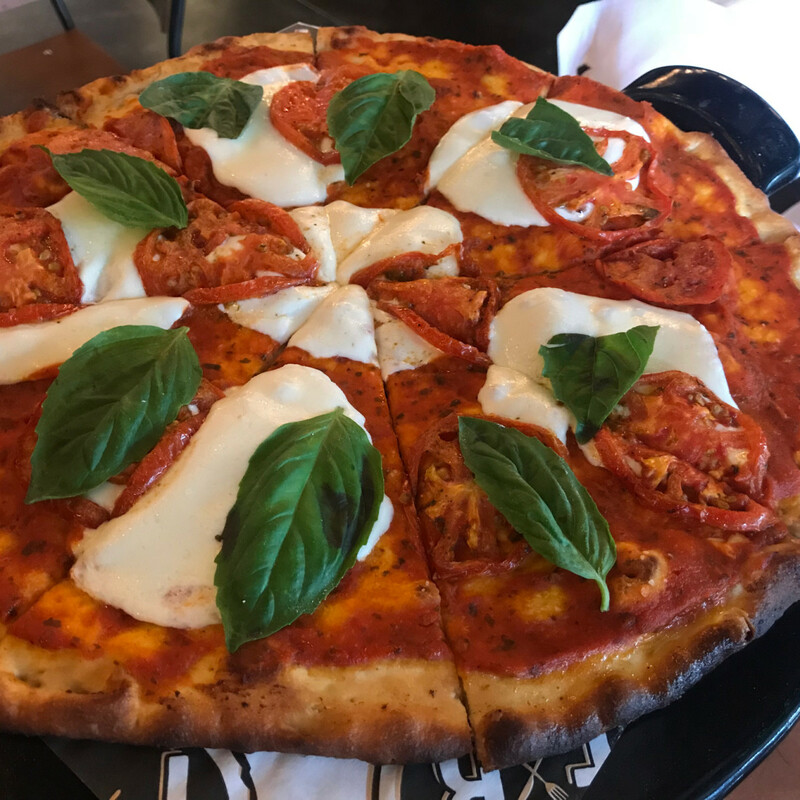 As for the pizzas, the restaurant serves both a traditional hand-tossed and a thinner, Neapolitan-inspired pie. Choose from set toppings or go with the build-your-own option — named “whatever the hell you want” after a phrase Feritta uses about the importance of customer service. 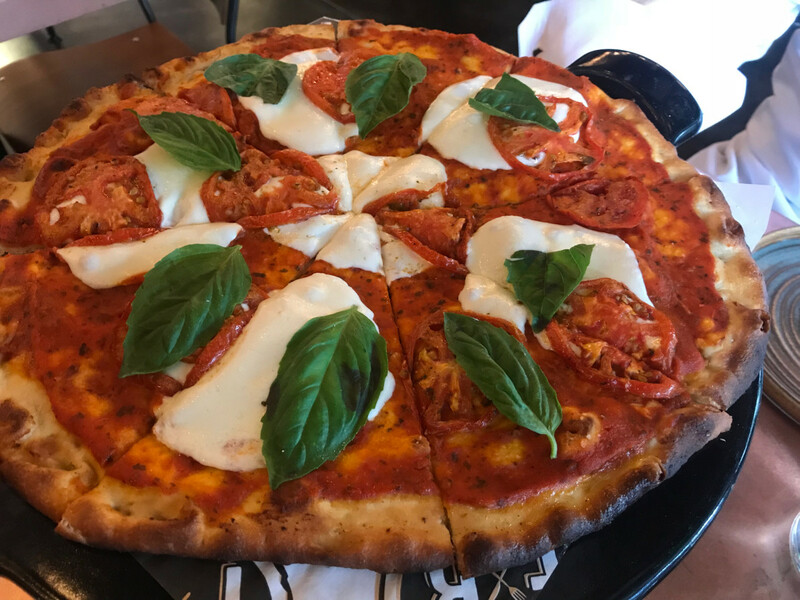 Diners can choose from 14 meats (everything from pepperoni and proscuitto to fried chicken tenders and barbecue brisket), five sauces (tomato, ranch dressing, barbecue, etc), nine vegetables, six cheeses, and three “others,” including a cracked egg. 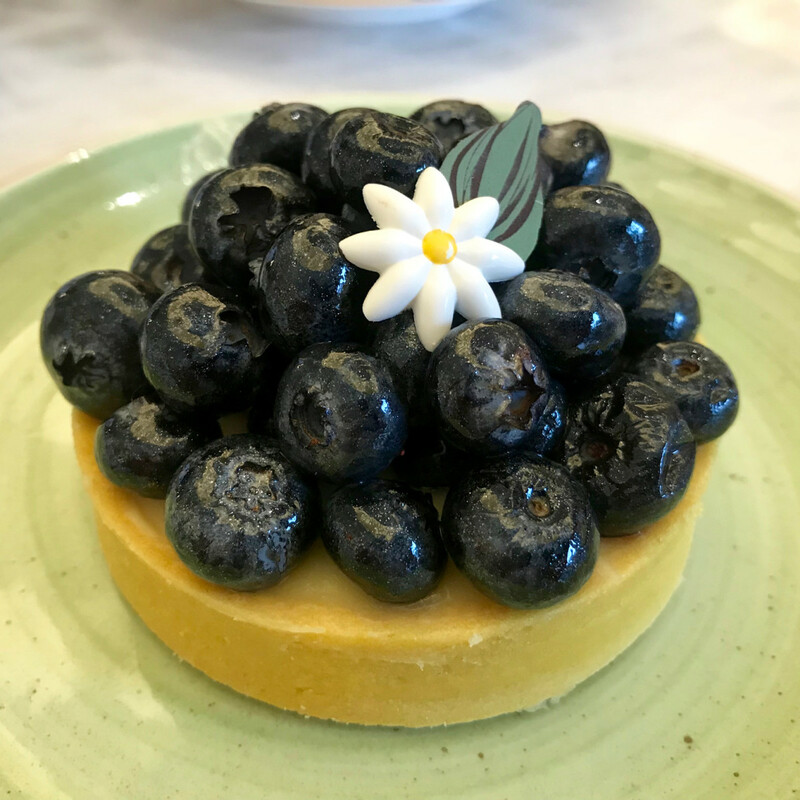 Both Craft F&B and Bloom & Bee offer desserts, but those with a sweet tooth might want to save room for a trip to Bouchée Patisserie. 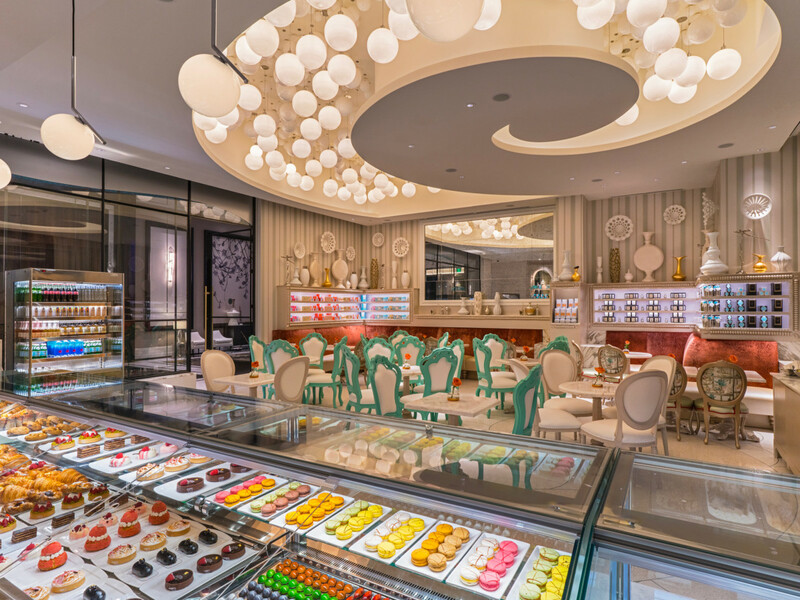 The brightly decorated sweet shop is something of a playground for pastry chef Oralia Perez, who comes to Houston after stops in Las Vegas, the Mandarin Oriental in Miami, and the Ritz Carlton Naples Beach Resort, which is where she worked with Royere. 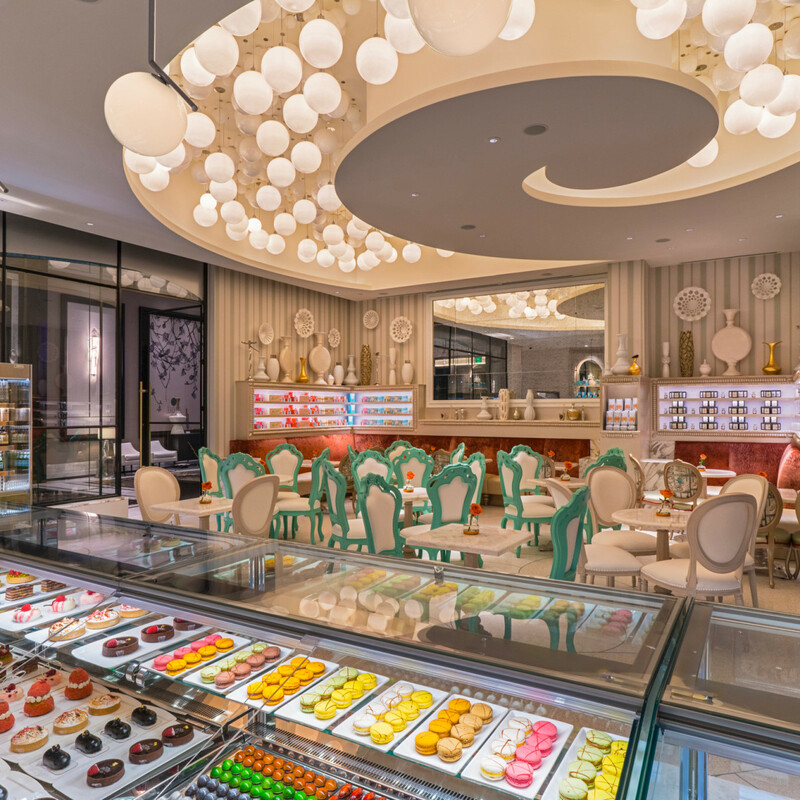 The offerings include grab-and-go sandwiches, different croissant options (almond, chocolate), fruit tarts, chocolates, gelato, macarons, and more. Best of all, it’s open daily starting at 6:30 am. Overall, each of the concepts offers something compelling that makes them worth visiting. Besides, how often does a person have the opportunity to stand underneath a million-dollar chandelier?